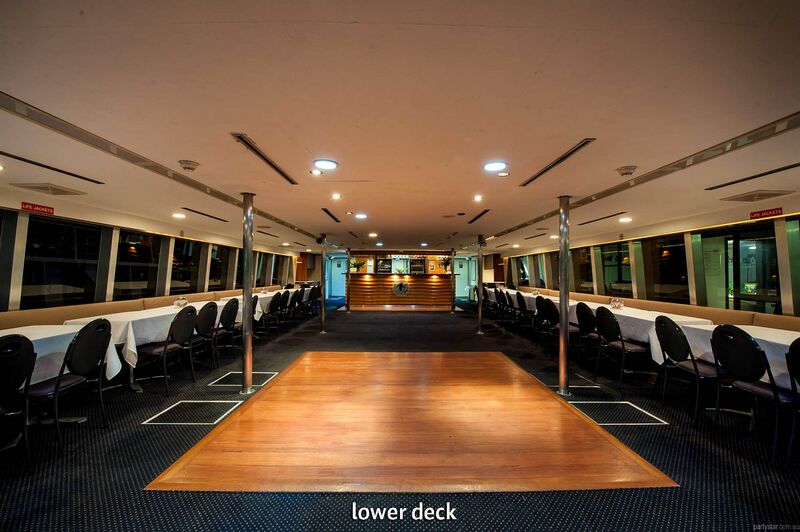 This 33 metre, three-level catamaran has made a huge splash on the function scene. Sail through Sydney Harbour with the wind in your hair and the stars above, on a modern cat with the perfect blend of modernity and classic charm. 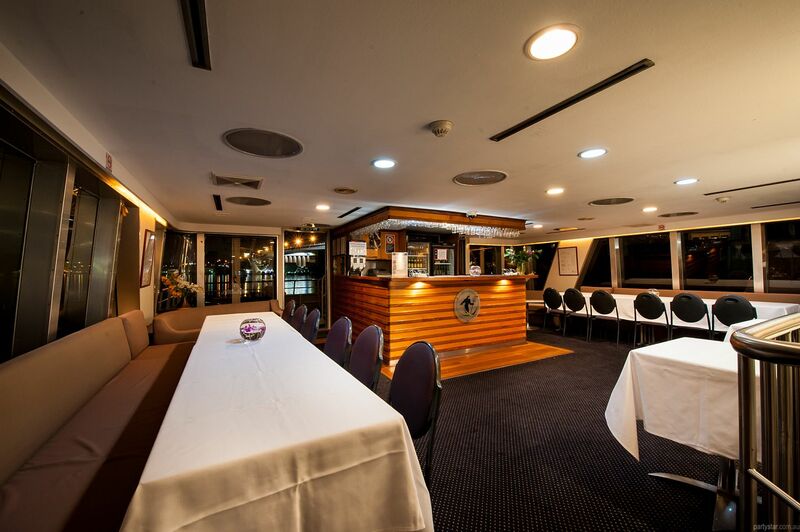 The fully carpeted timber and stainless interiors make a stunning yet comfortable backdrop for the perfect celebration. The fully licensed bars on two levels, two parquet dance floors, great lighting and thumping sound system set the scene. Food cooked while cruising the glistening waters will be served fresh to you all-important guests. 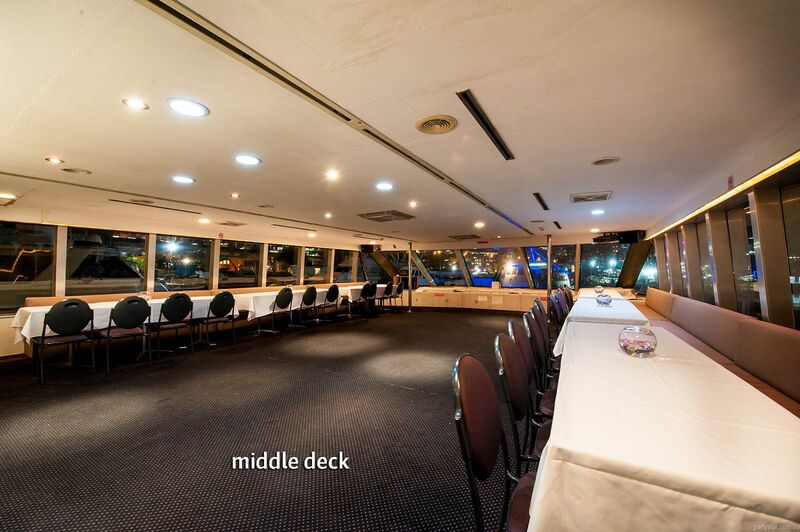 The experience and expertise of Vagabond Cruises who have been operating on Sydney Harbour for 25 years, bring you the best service in the most breathtaking setting available. Smoking area: Three outdoor viewing decks with casual seating with smoking permitted. Some cover provided outside. Noise restrictions: Some noise restrictions pulling into certain wharves around residential areas. 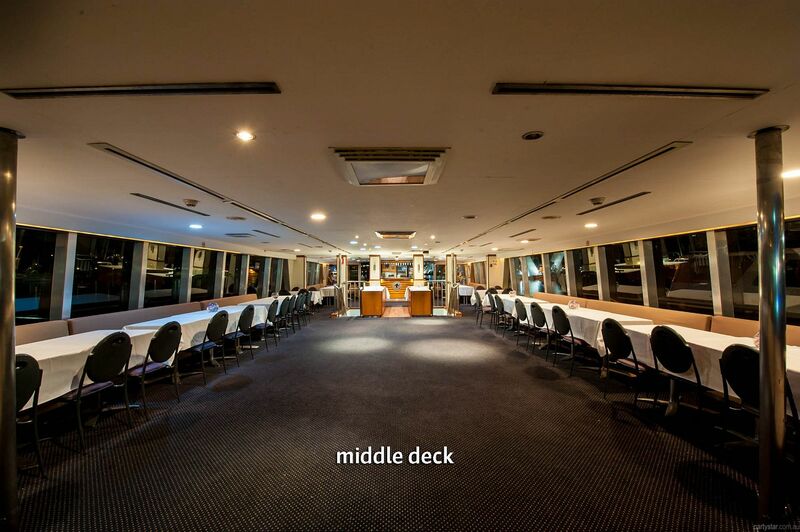 Only for 18ths, 21sts, school formals and uni parties: $275 per guard for a 4 hour function. 1 guard is required per 80 guests. 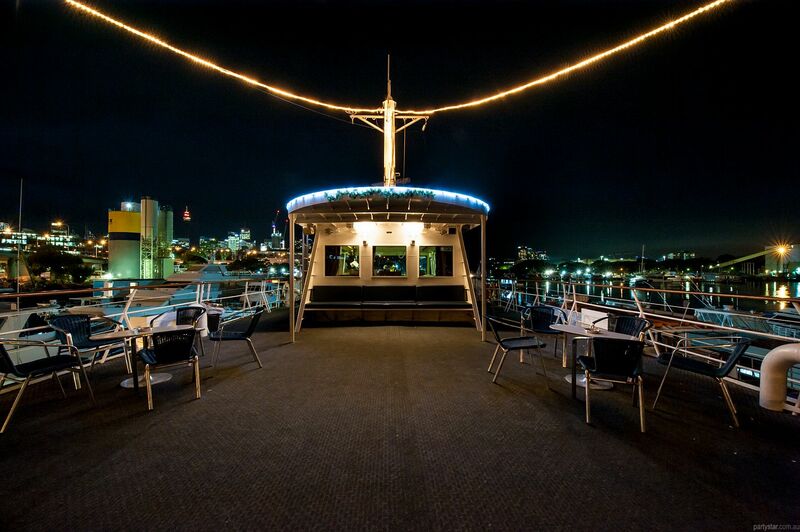 12am, with $800 per additional hour of vessel hire and an extra hour of security hire if required. Hire can be arranged for most AV needs. The vessel does have height and safety restrictions.